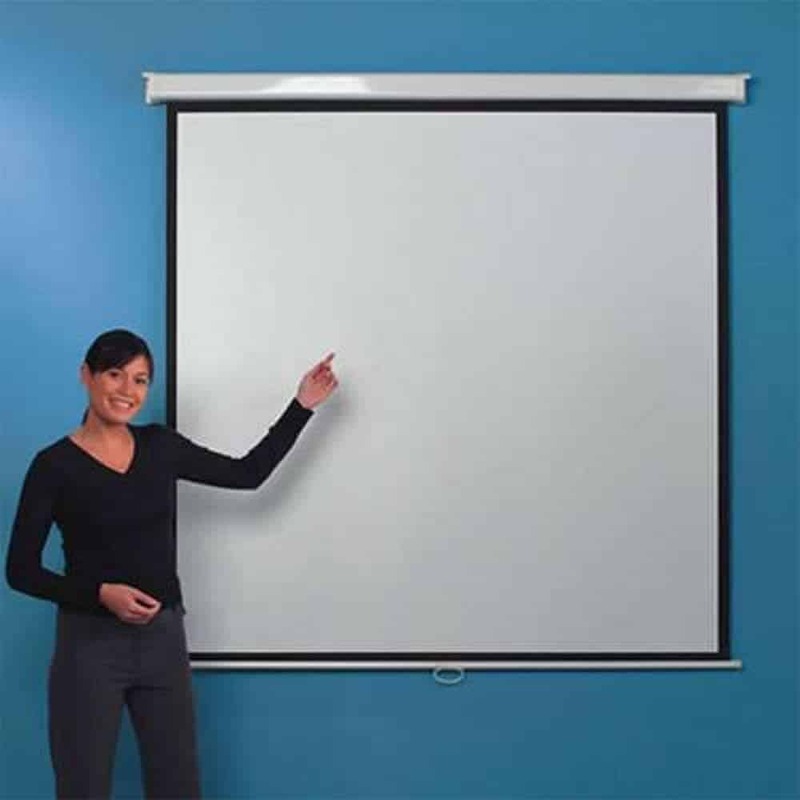 The Leader LVM8002 is a manual projector screen suitable for wall or ceiling mounting. 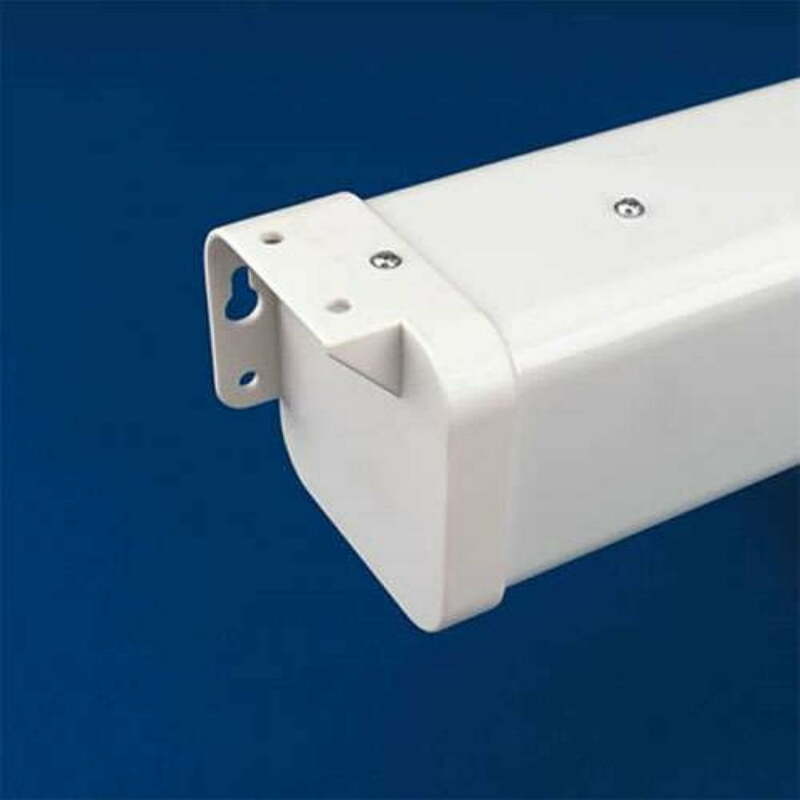 It has automatic spring roller and blocking mechanism and may also be availed with optional OHP extension brackets. It comes with a bottom bar that prevents jamming in the case of the screen. This unit has a white screen made up of good quality matte with 1.1 gain factor. It also has a high gain cloth with a 1.5 brightness gain factor. The cloth has black edges on all four sides to frame the image. As a result, it enhances LCD/DLP presentations.